valyonpz, ed mitchell, ronnie walker (and others here at the forum) - unique persons, not too easy to handle sometimes, but people who are progressing along their individual path. not too good IMO ... something went totally wrong trying to find a way for co-working. ... and a loss for our community here IMO. possibly there is a 2nd chance ?!? I dont know answers to any of the questions, all I know is that valyonpz videos are priceless. to add 1ml of water to an experimental set up and produce 1.5 to 2 litres of hho gas. Enough to fill a party balloon. That might be one experiment to try. If it can be produced instantaneously as meyer claimed you would fill that balloon very quickly. if you can get a small fuel cell with known efficiency, assuming you can separate the h2 and 02, from the hho source, you would be able to calculate the efficiency of the hho splitter, just by comparing electrical input to hho to electrical output of fuel cell device ( taking into account its efficiency as given by manufacturer). I fairly cheap way to find efficiency since small fuel cells are readily available now. this vid shows effect of resistors in parallel to capacitor ( tube cell), he concludes distilled water should be used ( or double distilled water). Can anyone comment on this results? I'm finding it difficult to understand the live scope shots and what they mean. I have been interested in adapting a car petrol injector to create a resonate cavity, because the car petrol injector already has an isolated coil within it ( to open the needle/plunger). 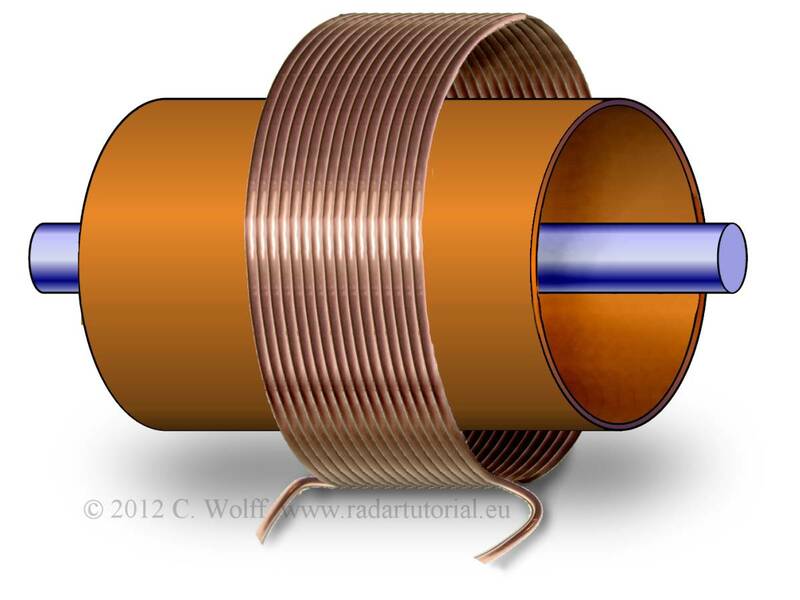 I have been wondering if its possible to use a coil on the outside of a concentric cavity to induce a resonant condition such as stan used within the concentric tubes. My understanding of waveguides etc is very very limited, but after a recent post by vortex who detected an em field eminating from meyer like concentric tubes. the paper is highly technical and not directly relevant to splitting water. its been discussed before on this forum, its a replication of stan meyers system. On page22 there is interesting discussion on how the water is split: my comments in italics. as charging of double-layer on interface cathode/electrolyte"
the beginning of the discharge tail the current is cathodic again." not sure if anyone has seen this phenomenon before? reduces, giving the release of oxygen detected by microsensor." I have always had problems visualising how water acts as a capacitor, I had assumed the whole of the water was acting as a capacitor. But this paper is suggesting its only a very thin layer near the surface of the water that is acting as a capacitor. The double layer as they call it, was originally proposed a very long time ago and accounts for surface charge of water drops ( its goes way back to lord kelvin from memory). Where the water molecules near the surface become orientated in a given direction, but the bulk of the water molecules are not aligned. Anyhow if they are correct, I would think that having a high surface area cathode might increase the capacitive effect. the double layer interface of water and the cathode where charging the water occurs i.e. not throughout the bulk of the water. If that is the case it might be worthwhile having a high surface area cathode in order to maximise the capacitance or storage of charge. maybe stans injector recognises this by having a very narrow area of water in active zone"Oxygen will collect at the positively-charged electrode (anode) and hydrogen will collect at the negatively-charged electrode (cathode).and that should be the outer concentric tube, these are acting as wave guide antennas and should be tuned with he choke and coils. sounds interesting, the double layer is on the nanometer scale, so even the tiniest voltage zone will still have bulk water, the bulk water though may play a role when electrons are injected ( part of the theory posted above). Even 1/100th inch gap as in stans injectors is going to have a huge amount of bulk water. Since 1ml ( 1cc) of water can produce 1.5litres of hho approx ( at 100% efficiency), the tubes are actually only converting a tiny tiny amount of water in the cell bath ( maybe 0.67cc of water per minute at 66% efficiency). Going back to paper a few posts back, if its only near the electrode tubes where the hho is produced and the capacitance is only produced at the water/metal interface ( in particular the cathode, then the majority of the apparatus is doing nothing ( i.e. bulk water). It should be possible to minituarise this setup greatly. I realise there are some aspects of the tubes acting as waveguides. I would guess that the surface area of the tubes is the part that is doing the work of splitting the water..
this would still be a low pressure system ( as constrasted with stans high pressure injector system where the movement of water through the tiny voltage zone is in a way doing same thing as increasing surface area). Minituarising the system could be an interesting exercise. Question is: how could you maintain same surface area of a large 11 cell tube setup, but make it take up a smaller space whilst also being as simple as possible to construct. I"m still leaning toward double layer capacitance at nano metre scale as the mode of capacitance formation in the water cells. could the cathode be made out of carbon/graphite, or at least a layer of carbon to increase surface area? I'm also leaning towards an insulation layer on the anode ( glass/fibreglass/aluminium oxide or similar material with high dielectric value), in order to increase resistance. Double layer capacitance is an extremely well studied phenomenon, there is a wealth of research papers available on the net on the topic. then maybe this method of purifying water could be used, as it is almost identical to stans water splitting device except carbon electrodes are used. rings giving a large surface area. tis may be usefull if you want to make more production. thnx freethisone , being in russian? its difficult to decipher. He concludes he must be using double distilled water. He does some measurement on current draw at 20v of different types of water which support his conclusion. it takes on negative charge, and may assist in hydrogen production. I've always found it fascinating that at boundary layers waves are produced, for example the sea and the air. I might hesitate a guess that at the boundary layer between water and stainless/steel or water and glass some form of waves are also naturally produced. Interesting thought, it reminds me of Tesla's use of the boundary layer in his blade-less turbines. I don't think we know enough about how fluids interact with solids. will have some significance in how it operates. Will there be a boundary layer with such a narrow gap and high pressure/high flow water stream? its an interesting thing to look into. Which we have looked up before it is the polarisation stratification of the water "holy Water"
is it possible to make ice red hot? you would think not, but apparently you can! just thinking out loud on some thoughts on alternatives to stans method. lets say you want to use ultrasonic fogger to produce water droplets on micron size scale to be split into hho using stans method. I have to assume that capacitance of the water is charge separation over a nano-metre scale across the polarised double layer boundary. In stans system this charge layer would be across the water/metal interface in the stainless tubes. Say you want to replicate this system but use an air water boundary rather than a metal water boundary. The ultrasonic fogger could produce spherical droplets in the micron range, the capacitance would occur across the water air boundary i.e. the outer two layers of water molecules line up in a polarised manner in reaction to the charge of the surrounding air medium. This occurs naturally aparenty, a water droplet in air will have polarised boundary layer at the outer layer of water molecules, therefore the water droplet will have some capacitance value. Probably an extremely small value. (Another phenomenon occurs in a water stream broken into droplets. The droplets acquire charge, I dont think how this occurs is understood, there are some theories. How this acquired charge is related to the boundary layer i'm dont know). Anyhow would it be possible to replicate stans system by replacing the metal with air? I have no idea!! I'm sure it would be possible. to align the water molecules ( I'm assuming its only on a nano-meter scale where the water molecules hold charge, though it may well be its much thicker due to the high voltages he uses). He states that the ideal is to have small current transfer across the water during step charge, just use voltage potential as much as possible. So you could really see the interaction of voltage and water in the same manner as you study electrostatics. there is a wealth of information available on it. I did one experiment some time ago, where I found that water droplets could be charged, well at least acquire a charge quite easily. In a confined space ( plastic bottle) I used a pulsing circuit to a car coil ( jacobs ladder project I had laying around). One electrode was below the water in bottom of bottle, another electrode was about 6inches above the water surface. So i had maybe 18kv or so voltage potential across the surface of the water/air interface. would sink below the level of the upper electrode, there was no water fog above the top electrode. There was a distinct boundary where no water droplets went above the top electrode ( normall without the voltage gradient water fog would fill the whole bottle). So I assume the water droplets had acquired alot of charge which caused them to sink ( became heavier). The jacobs ladder circuit although pulsing was not variable. There as no way to vary the on/off time and frequency. I have no idea if the vic coils would still carry out their function using metal/air/water as the medium rather than metal/water. Would there be any value in using water droplets in air rather than liquid water, I have no idea, since the water is small droplets with huge surface area there might be some advantages...........just some thougths. if the boundary of water has polarised water molecules at its edges due to interactions with surrounding medium, and this occurs naturally, there must be something different/some change to that boundary once pulsed with high voltage. Water doesn't tend to naturally decompose into hho due to boundary layer capacitance. So I'm guessing that the boundary layer of polarised water molecules becomes much thicker than a nanometer scale, how it provides capacitance I have no idea. i did watch a youtube video where water in a glass jar was charged up to high voltages, and in the dark small flashes of light could be seen throughout the water. I'm guessing that the flashes of light were due to arcing across tiny air bubbles in the water? I will try find the video and post a link. water surface can become charged ( a boundary layer), when the breakdown voltage across the air bubble is reached it sparks. This is really the opposite of having water droplets in air, you have air droplets ( bubbles) in water! It might mean that its not possible to use stans method on water droplets in air, as the water droplets may discharge into the air, rather than discharge internally creating hho. Stan says in his lectures that water forms the dielectric layer at around 78. When most people try to get high voltage on the plates, they act like electrodes and series current flows through the water and then becomes brute force because of the voltages involved. Yet when people have insulated their tubes it doesn't work either. Something tells you that the capacitance on Meyer's tubes is some kind of parasitic capacitance related to some other reactance somewhere else in the network. Could it be that you have two bifilars, one bifilar on the positive side and one on the negative side? One set of bifilars is reactive and the other is parasitic and the parasitic one, although it is high in voltage is restricted by the reactance taking place on the other bifilar? wireing the secondary bifilar in itself and upper and lower choke bifilar side by side would give 2 different types of capacitances. of course another configuration also is possible: upper and lower choke are wound side by side in one section and then both are individually wound bifilar in themselves in a 2nd section before or after 1st section. I haven't posted for some time, been having a break. I notice that tinman has finished his research, thats a shame I enjoyed watching his youtube videos. Did anyone notice anything unusual about the spacex falcon 9 explosion recently? That must be the cleanest explosion of a spacecraft I've ever seen ( on the internet!). My first thoughts were it must have been running on hydrogen and oxygen, a quick google search showed it was oxygen and kerosene ( 1st stage anyway). But that explosion look more like just water vapour. The space shuttle used hydrogen and oxygen ( in conjunction with solid fuel boosters). I think its necessary sometimes to have very long breaks from research, it can do your head in. If valyonpz is still out there............got any new videos to post?